They are a forgotten people. The Haitian “guest workers” who cut sugar cane in the Dominican Republic have been “guests” in that country for almost a century. 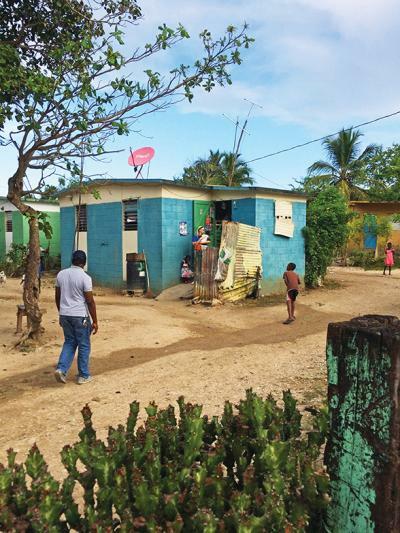 In the remote areas near the sugar cane fields, they spend their lives in bateyes—company-owned villages that often lack the basic necessities of life: clean water, electricity and sewage facilities. With limited transportation, batey residents seldom venture far outside of their village. There are no nearby medical facilities, or even a local pharmacy. And so, those living in the bateyes are dependent on the volunteer teams who visit twice a year, bringing doctors, nurses and medicine to provide basic medical care for workers and their families. 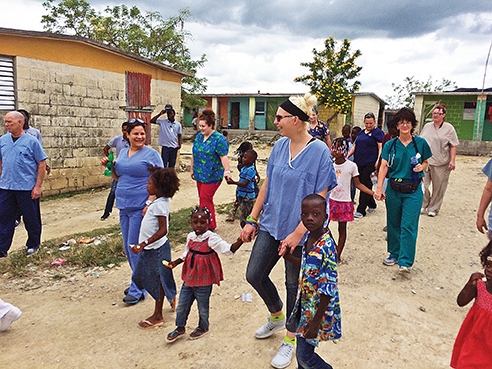 In January, 11 Wilson students (including eight nursing students) and three faculty members became part of one of those Dominican volunteer teams. Within four days, the Wilson team assisted in medical visits to three bateyes (Creole, pronounced: ba-TIES) and a neighborhood clinic, helped treat 375 adults and more than 200 children, and dispensed more than 1,500 medications. This was Wilson’s first medical mission trip, which was coordinated by the Christian nonprofit organization Mission: Hope. 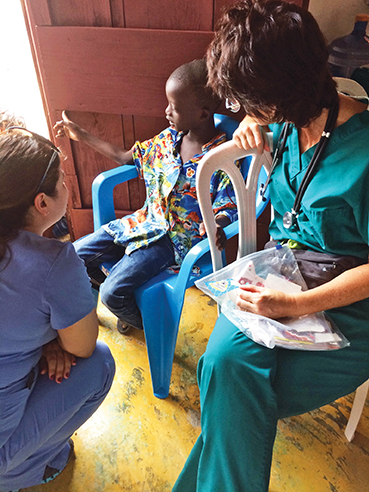 The organization connected Wilson with La Buen Samaritano (the Good Samaritan) Hospital in the southeastern coastal city of La Romana, which runs medical trips to approximately 100 bateyes twice a year. 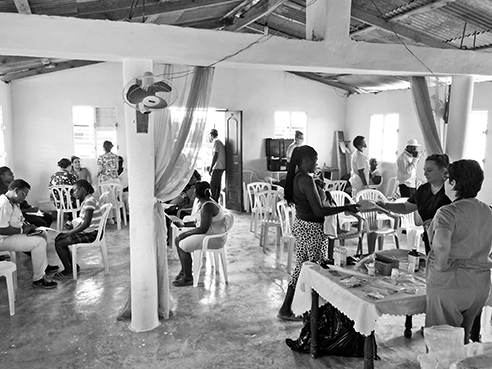 At the bateyes and the neighborhood clinic in the town of San Pedro, the Wilson nursing students took blood pressure and vital signs for the Good Samaritan doctors, assisted them in their examinations and helped hand out medications. Smith and Spanish-speaking students would help register patients and provide assistance with Spanish translation. 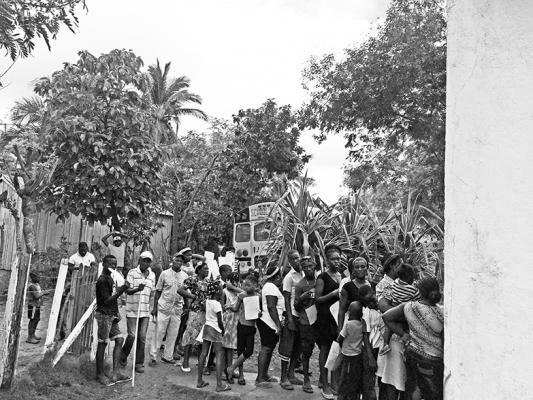 This could be tricky, Smith said, as many of the Haitian batey residents spoke Creole French, while the Dominicans spoke Spanish. “Most of the Haitian children could speak some Spanish,” he said. Even with medicine, the care provided by the volunteer teams could only extend so far. One of the constants at their clinics was the children. Despite the living conditions, the children were open and friendly, crowding around the bus to greet the medical team, leading their foreign visitors around by the hand to show them their village and often acting as translators and emissaries for older family members. With the mission trip taking place early in January, it was still the Christmas season on the island and the Wilson students had purchased many small items before they left—such as crayons, pencils and coloring books—to hand out at the clinics. The promise of a gift was a good incentive to get the children lined up to take an anti-parasitic medicine that tasted particularly nasty. During the team’s first batey visit, Shank stepped off the Good Samaritan bus, walked up to one of the Haitian women and asked to hold her baby. From then on, she became “the batey baby cuddler,” in the words of Smith, her Spanish professor, who was profoundly moved by Shank’s initial gesture. 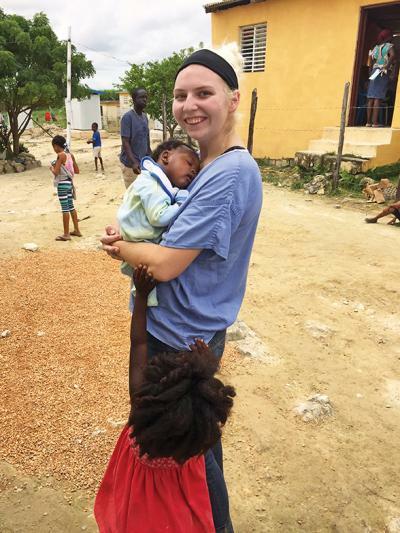 “I’m not one of the nursing students and I wasn’t really sure how I could help,” when the bus first pulled into the batey, Shank remembered. She had noticed that in La Romana and in the bateyes, parents did not have baby carriers and were holding their infants in their arms as they went about their work. “So when I asked them if I could hold their baby, I was trying to give them a break from holding (the babies) all the time,” she said. “The first time I did it, the mom invited me into the family’s house, and I sat down and really was able to have a conversation with the family.” The gesture became an ice-breaker. “It gave me a chance to connect with the people there,” she said. Back at Wilson, many of the students said they would not hesitate to return to the Dominican Republic for another medical mission trip. More medical missions will become part of Wilson’s regular service-learning programs for students, according to Hart, who said the next trip might not take place until 2020. This is so much interesting for me. love to find kind of more. surely will share with others. I am going to mention here that it is really a massive sharing and I will appreciate the author for this. I would like to transfer this stuff to my dad as well after ending my cherry blossom tour which I am taking with goldenbustours.com and hope he will like this.